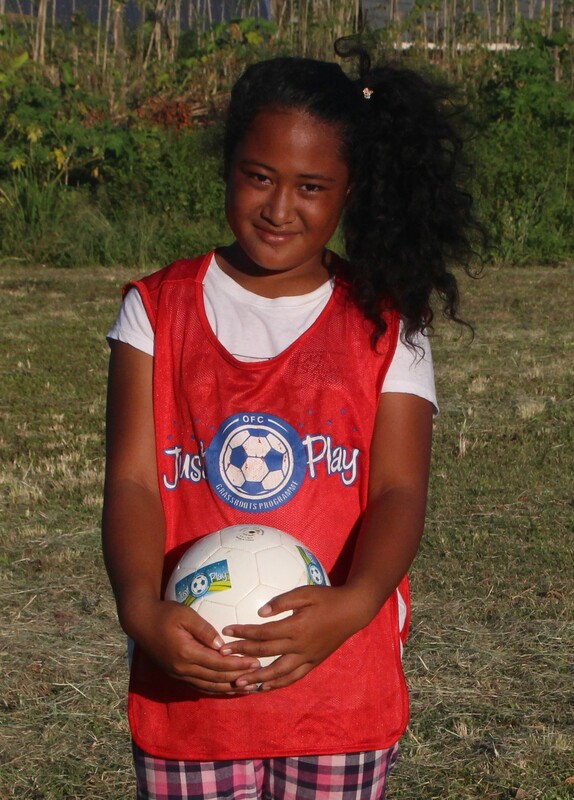 The trauma of living through the worst tropical cyclone of her short life still haunts 11-year-old Mele Finau Loto’ahea of Lavengatonga. However thanks to the introduction of the Just Play Emergency Programme the memories of what she experienced on the evening of 12 February 2018 are slowly starting to fade. Loto’ahea was staying with her grandparents on the night Tropical Cyclone Gita hit and recalling the events of that night still bring her to tears. “I lay down next to my grandmother and I could not go to sleep,” she recalled. “The wind was getting stronger and stronger, and I started to cry,. I told my grandmother that I am scared, and she told me to just close my eyes. The 11-year-old ran to her grandfather who helped calm her down before her grandparents decided it was time to abandon their home to seek safety and shelter elsewhere. “Half-way to the LDS Church Building I could not see our house anymore because it was like a huge smoke was everywhere. I held on tight to my grandfather and we eventually made it safely to the church. Ten days after Tropical Cyclone Gita wreaked havoc on Tongan communities, a trial of the OFC Just Play Emergency Programme got underway. 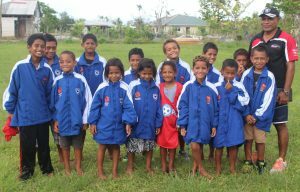 The OFC Emergency Programme was successfully implemented in Fiji and Vanuatu following tropical cyclones which devastated both nations in 2016 and 2017, and aims to provide some solace for children and families affected by natural disasters. ‘’I’m so happy to join today’s program because every day after the cyclone we talked about what happened that night, and it’s stayed in my head,” Loto’ahea said. She’s now laughing and playing along with the other children taking part. Tuee Vaea is a volunteer who looks after the community of Lavengatonga and expressed his gratitude to Just Play coordinators Lui Muavesi and Lafaele Moala for bringing the programme. “It really has had an effect on the kids,” Vaea said. ‘’There were a lot of children I believed they were really effected by the events of the cyclone and today I looked at them and they are enjoying themselves and laughing off the memories. Vaea said more than 50 children took part in Just Play Emergency Programme events, and even a number of parents were on hand to show their support and encourage participation. Lavengatonga is situated on the eastern side of Tongatapu, and 50 per cent of homes in the village were blown away, had their roof ripped off or suffered other damage during Tropical Cyclone Gita.